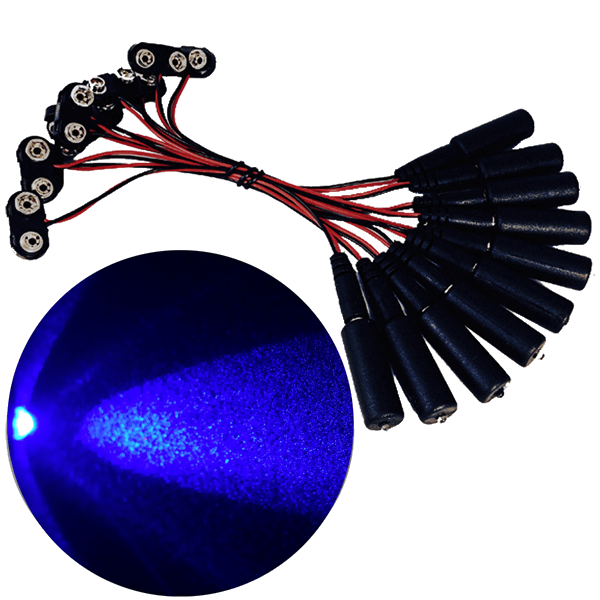 Flicker Effects Control for LED Lighting 12V or 24V operation, 6 flicker modes, 10 speeds, DC barrel connector of the 2.1mm x 5.5mm size are used on the control. 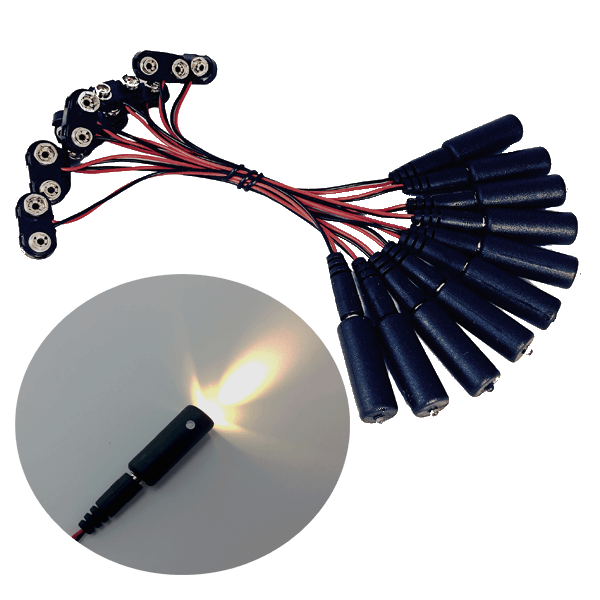 This control is used with low voltage LED lighting to create flame effects for themed entertainment projects, escape rooms, filmmaking, stage props, hand props, theatrical candles, theatrical lanterns, theatrical stage prop gas lamps and other applications needing the simulation of flames or burning coals. 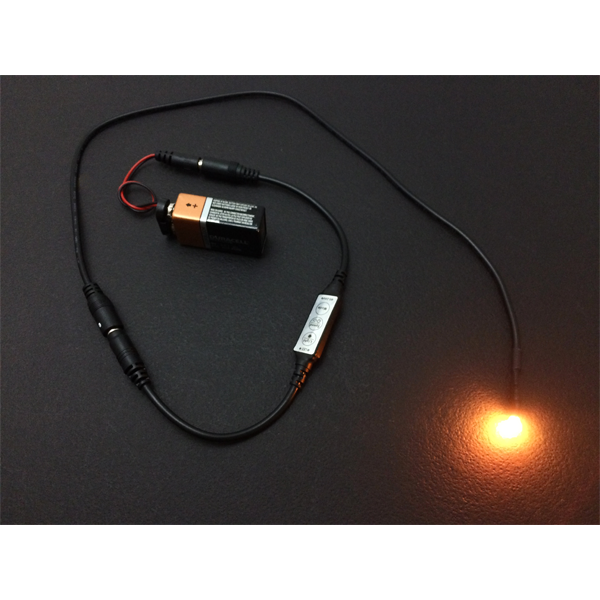 The Prop and Scenery Lights FEC1 Flicker Effects Control is used for LED flame flicker simulation and for glowing goal and ember effects. 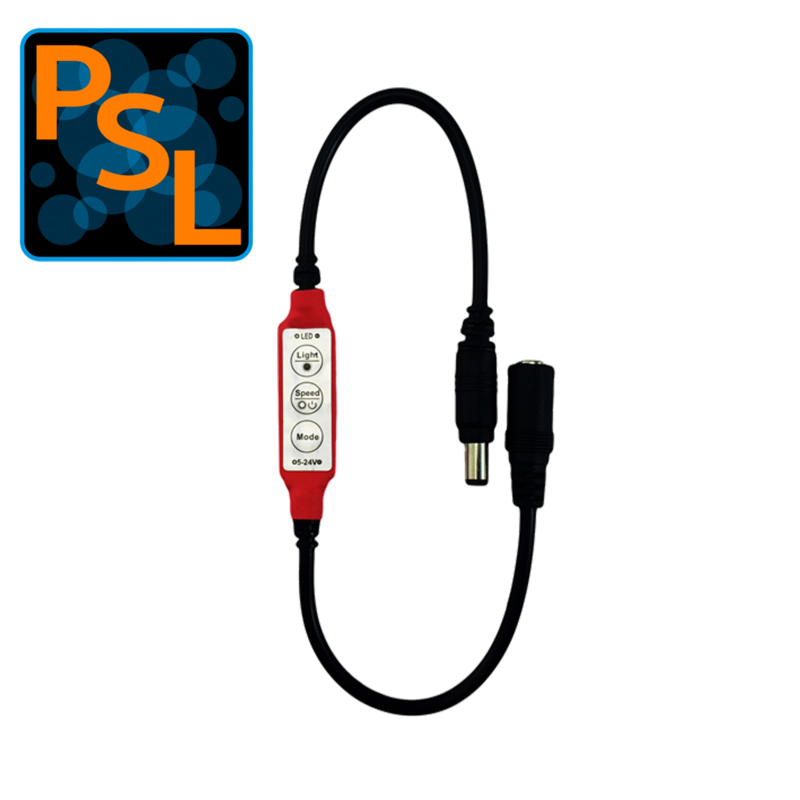 The control provides 6 different flicker modes and 10 flicker speeds (how fast a flicker step changes); this provides up to 60 different effects settings. 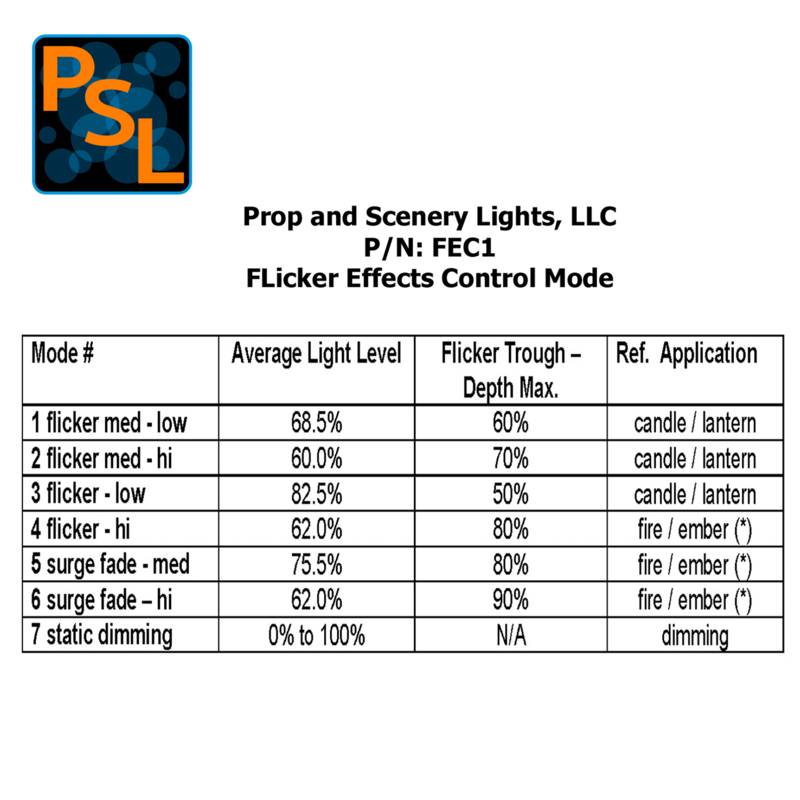 Each of the 6 modes or flicker patterns is characterized by the flicker depth (how low a flicker step dims) and the overall nominal light output percentage. These characteristics can be found in the specification sheet and application note. 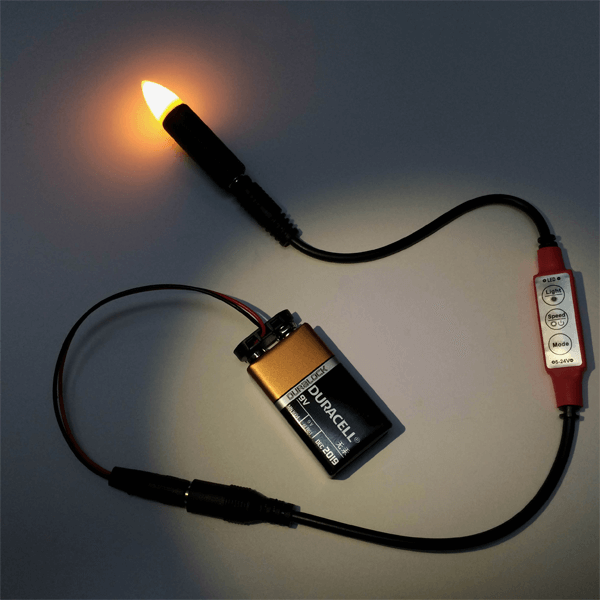 The mode best suitable for a given application can be selected; such as simulation of a lantern or torch flame. 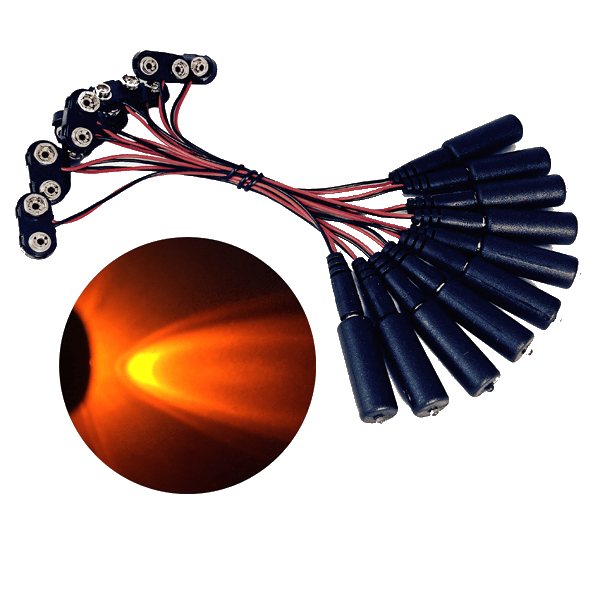 The slower rate of change speeds are used for glowing coal and ember effects. The flicker mode and speed selected are retained when the FEC1 is turned off or when power is disconnected and reconnected. 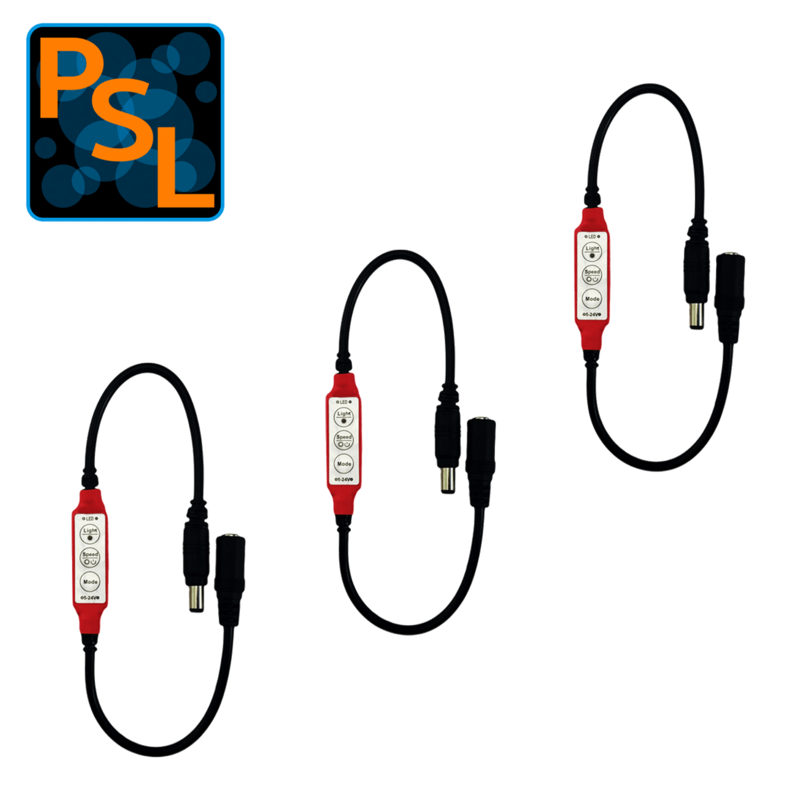 The ability of the unit to retain its settings is helpful in building prop and scenery lanterns or torches where the control may not be readily accessible and only the power input is controlled. 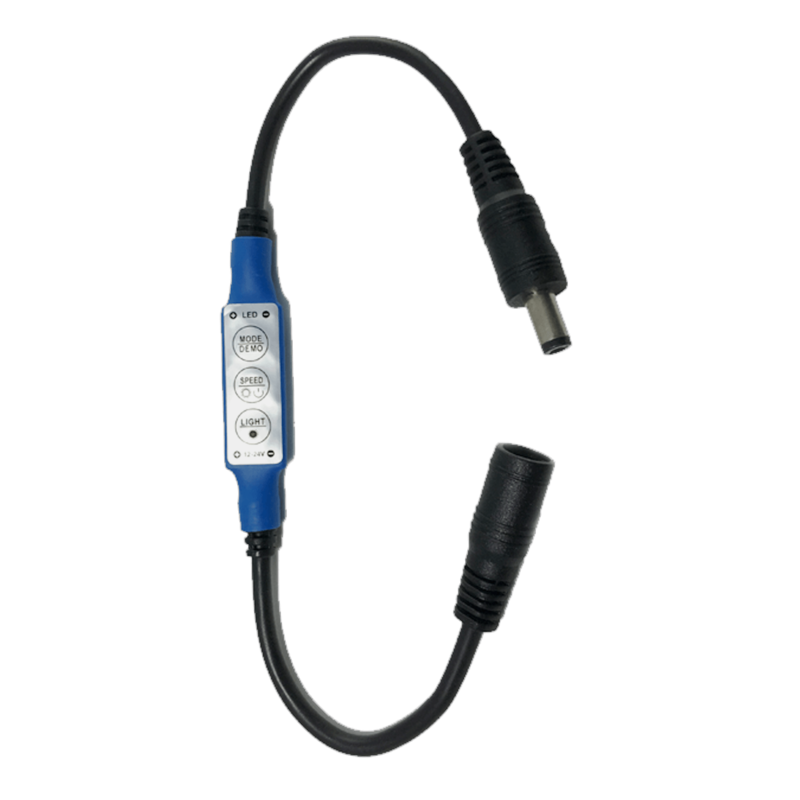 The FEC1 operates from 5 – 24 Volts DC with a maximum LED lighting load of 18 watts. 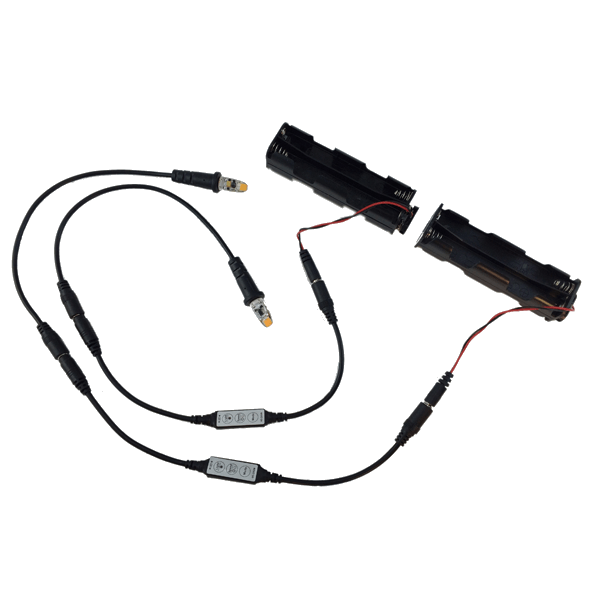 The unit is well suited for 12 volt DC lighting systems. 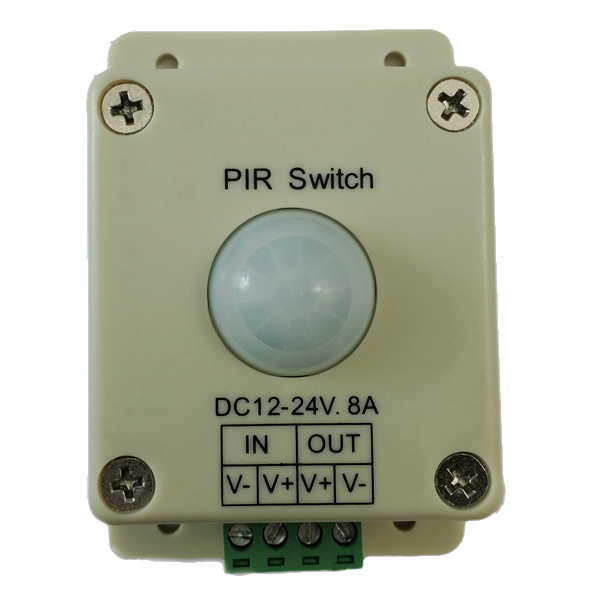 The FEC1 Flicker Effects Control is for LED lighting loads only. The FEC1 Flicker Effects Control is used for prop and scenery building in applications such as theatrical sets and themed entertainment. The flicker effects control along with flame spectrum lights may be suitable for gas lamp replicas, faux fireplaces, large lanterns and torches. The control is also used for scenery applications needing a flickering candlelight, burning coal and ember or fire appearance.